WHY???? Just WHY is this even going to happen. Well you know what let me go back and try to be as objective as possible. At a Producer’s panel for The FX show Legion at Comic-con in San Diego, its showrunner Noah Hawley just officially announced that he is developing a Doctor Doom movie for 20th Century Fox. This has caught many Marvel fans COMPLETELY OFF GUARD. 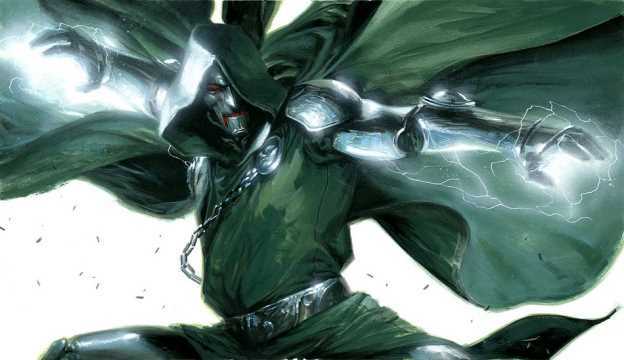 Doctor Doom being one of Marvel’s most iconic villains has not been done justice in theaters. He has been featured in all three of 20th Century Fox’s Fantastic Four films the 2005, 2007 (Rise of the Silver Surfer) and the 2015 reboot, but he has not possessed both the true genius and menace that fans have come to know. We want to know what do you all the readers think of this? Is it a good idea to do a Doctor Doom solo film or should he be included in the next reboot that is being talked about for the Fantastic Four.